"Life is too Short for Fake Food or Fake Friends"
"It all started with a kiss." Introduced by a mutual friend, Claudia came into DeVinci's Deli to talk to Mike about using his kitchen to bake desserts for a local jazz cafe. At the time Claudia represented multiple food companies selling products like California Extra Virgin Olive Oil, Gluten Free Salad Dressings and Fresh Produce for many local producers, having owned a bakery in Tracy from 2000 - 2003 she still baked on the side for local families and friends as well as small catering jobs therefore she needed a "certified kitchen". Mike and his family own a small chain of Italian Delicatessen's (DeVinci's Deli) in the San Joaquin Valley and the store in Tracy was just one of eight stores. After baking in the store for a few months, Mike and Claudia started sharing their larger dreams of owning a bakery again and Mike wanted cook breakfast and burgers etc... This is how Town and Country was created! 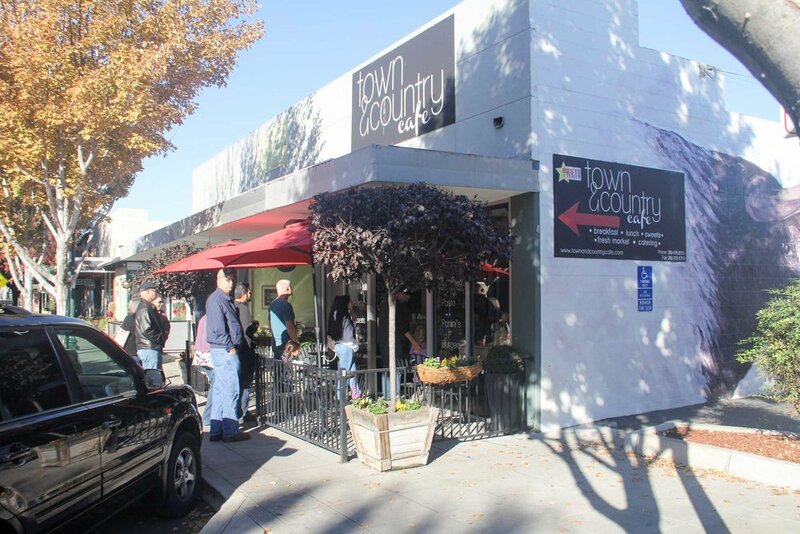 In October 2011 they partnered and pulled the Tracy location out of the corporation and began a total remodel of the once DeVinci's Deli and in January 2012 Town and Country Cafe was open for business. If you have visited T&C, you will see the connection between Mike and Claudia... It's a beautiful thing... 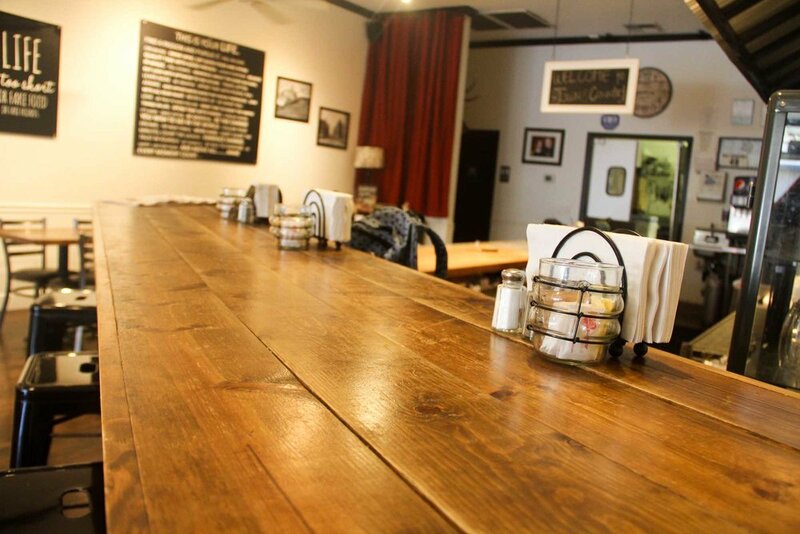 The passion shines through the menu, the food, and every aspect of the store.